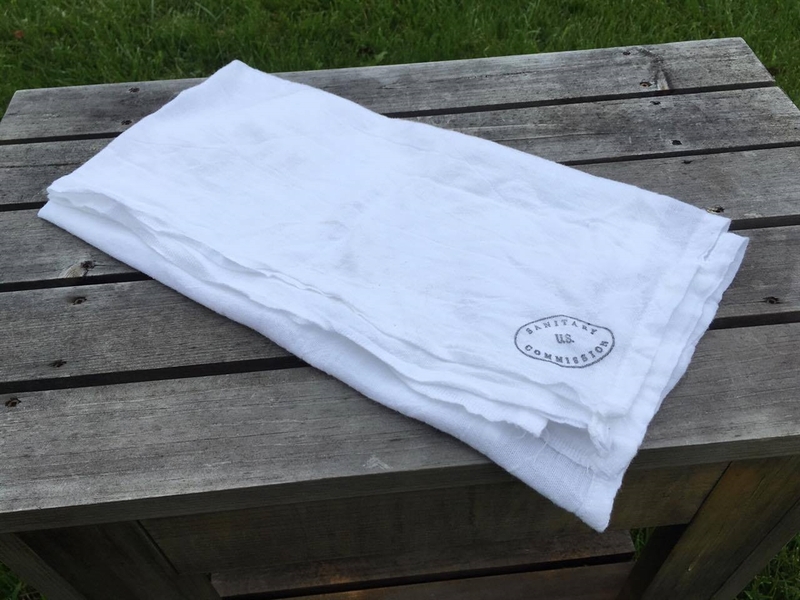 Towel made from lightweight cotton sacking, marked in one corner with a U.S. Sanitary Commission stamp. Towels are often seen in Sanitary Commission inventory lists in large numbers. Measures approx. 28" x 28"